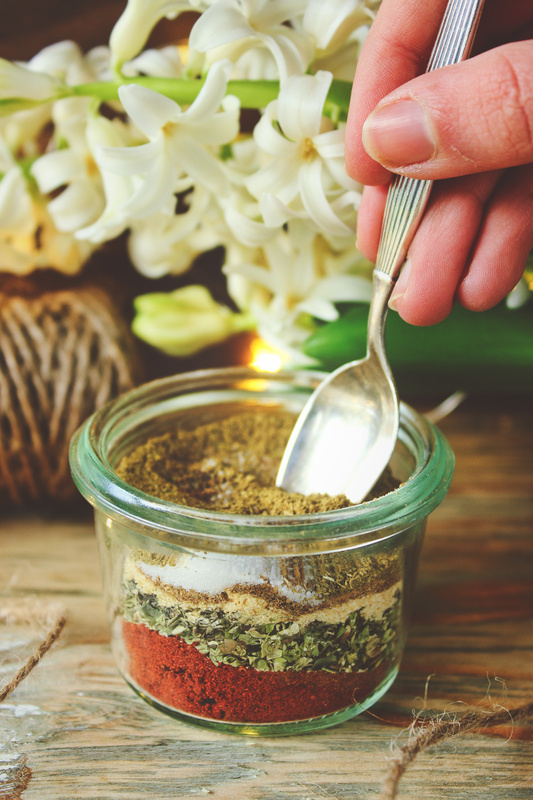 We are starting off this year with a simple, but practical thing to have in your kitchen: Mexican seasoning! 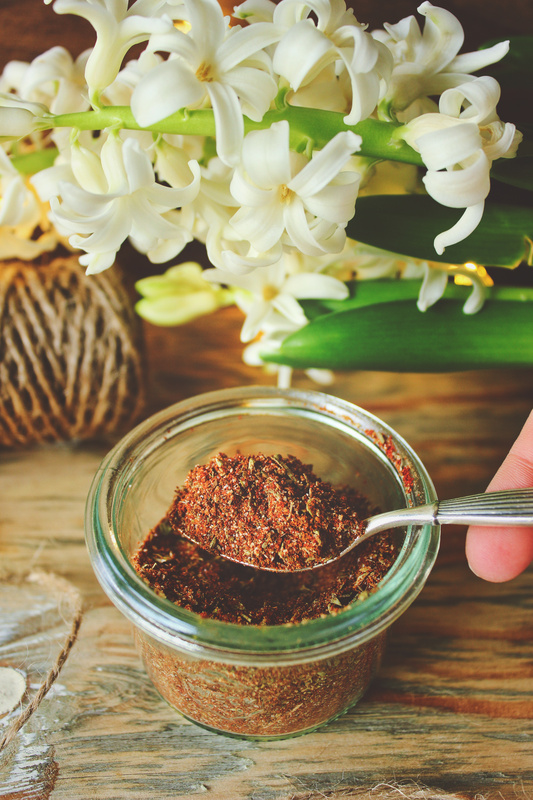 This recipe is a blend of aromatic seasonings, such as paprika, oregano, and cumin, and it is so versatile and can be used to spice up any Mexican dish, refried beans, guacamole, or even just baked potato wedges. Hi to whoever’s reading this. It’s 2019. And this is my first blog posts of the year! It’s been a stressful first few weeks of the year. I wanted to post a recipe sooner, but I was nervous to post something. I think I just stressed myself out because I wanted a fresh start, and I, as with everything else in my life, wanted it to be perfect. Which is not realistic. So I’m going to see where this year takes me, but I am going to try to post more frequently. A few days ago I also got new paints, so I’m excited to start using them. This is really off topic… so I hope you don’t mind me writing about my life. 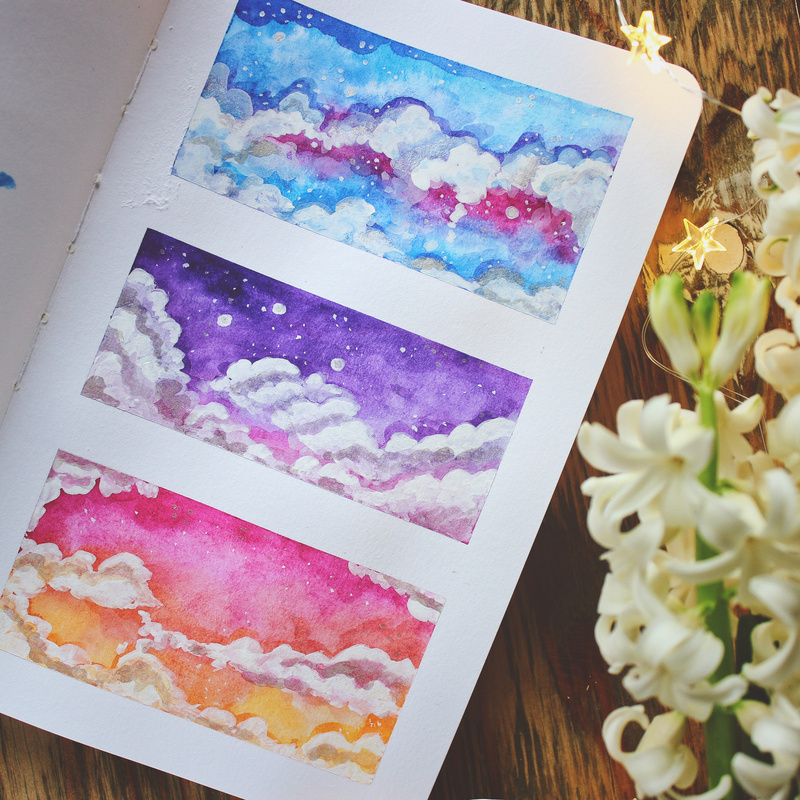 I painted these skies below, and I’m just sharing them to bring some colour and life to this blog post. To be honest, I think this recipe is sort of underwhelming for being the first recipe of the year, but it is what it is, I like it, I think you’re going to like it, and it’s simple. I first made a Mexican seasoning mix at home when my mum and I was making a chilli sin carne and didn’t have any at hand. Then I thought, why not make my own recipe to use in future dishes? And then I adjusted the recipe I had tried to suit my preferences. My family still often makes chilli sin carne, and they love my seasoning mix. Seriously. They use it every time they’re having something Mexican for dinner, and suddenly it’s just gone. And then I have to make more, but I do it because I love them, haha. You can use this seasoning mix to enhance the flavour of any Mexican dish. As I just said, chilli sin carne is a favourite in our house. But we also often use it to spice guacamole. 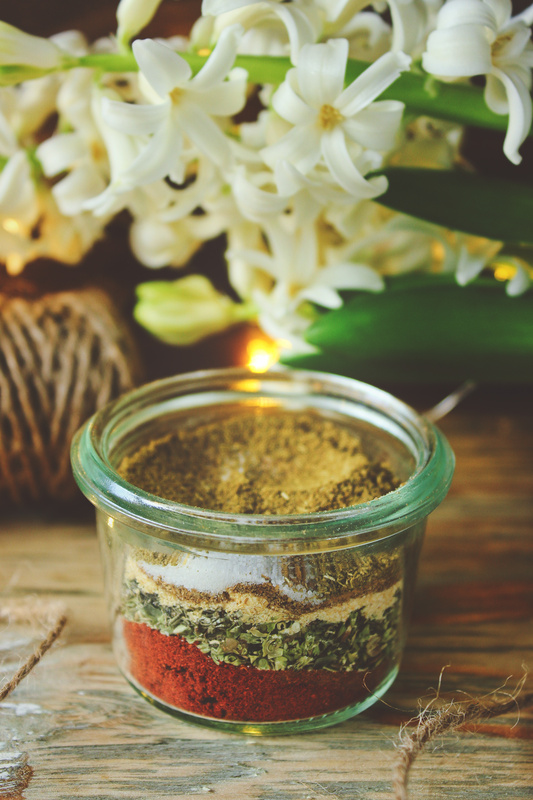 I think everyone should try making their own seasoning mix. This winter, I also made pumpkin spice! 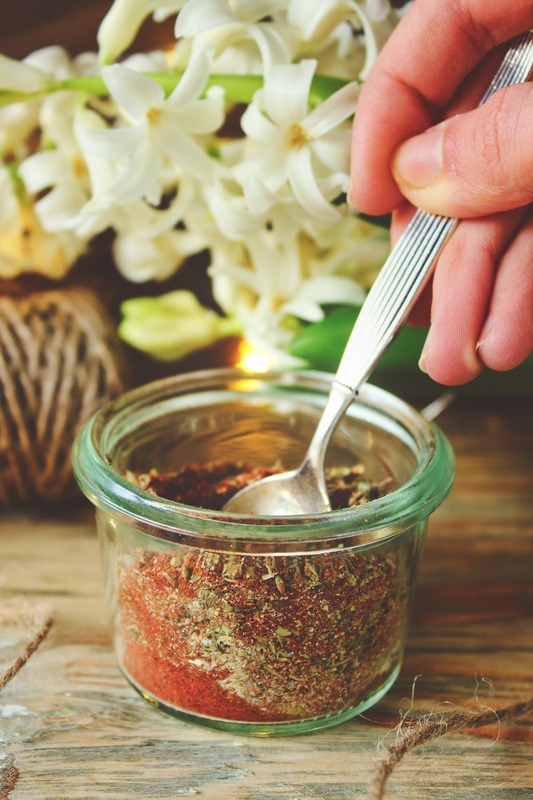 I like making seasoning mixes myself because you have control over the flavours, the salt content, and I actually think it’s fun to mix the seasonings together. 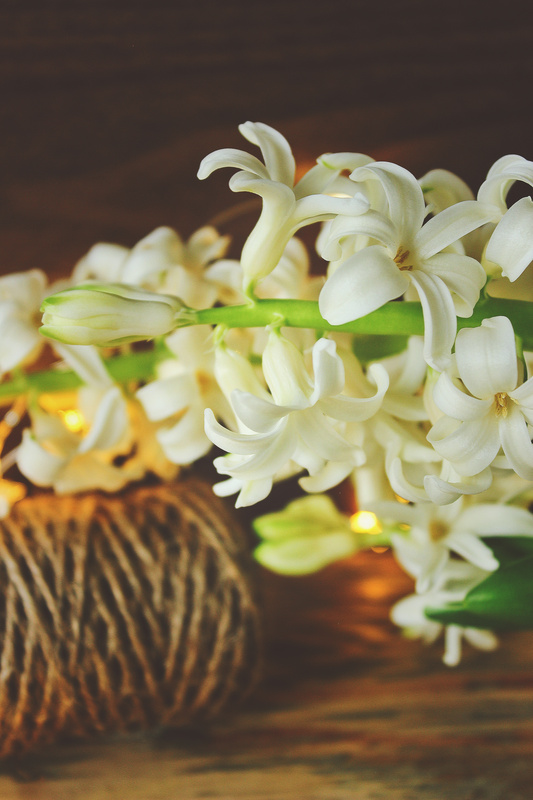 And, lastly… I freaking love hyacinths! We have had so many flowers around the house lately, and they have not been able to escape me and my camera! Dried basil: Basil is another herb used in Mexican dishes which you could add for even more herbiness. Cayenne pepper: I should have actually added this. Well, I can do that later. Add cayenne pepper for more spice! 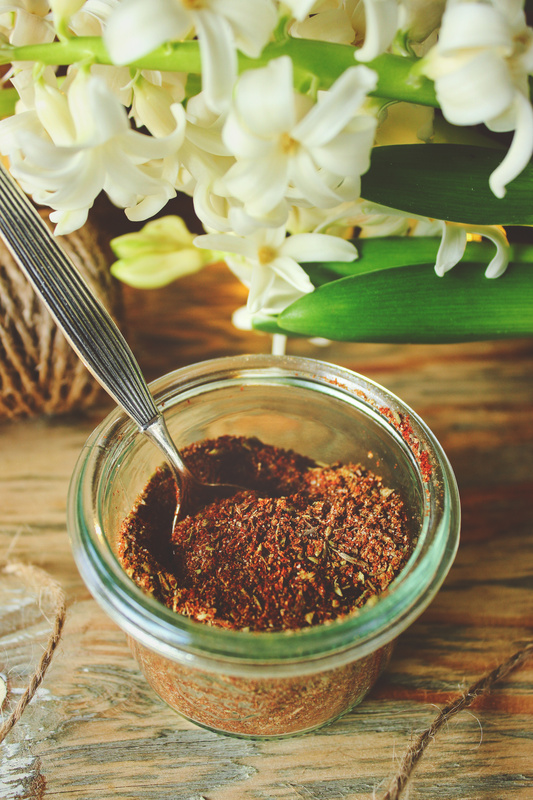 Ground nutmeg: For a little spicy, earthy twist. Chipotle powder: If you like it even spicier! 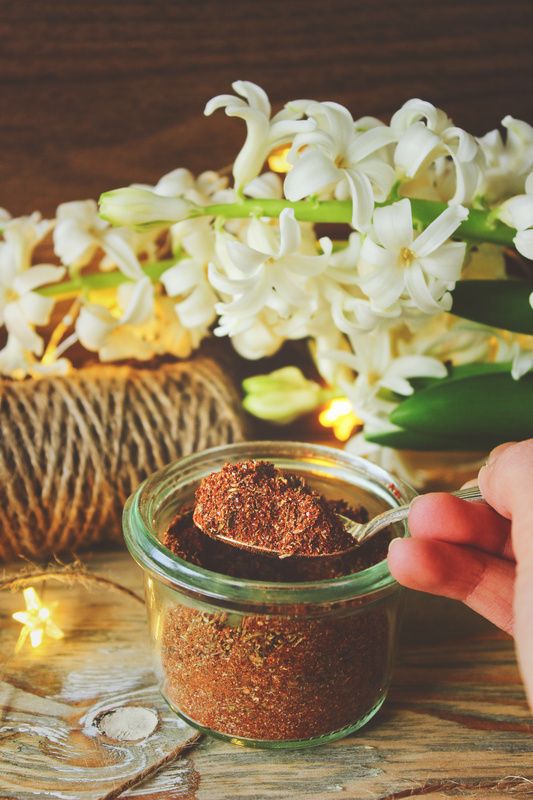 Cocoa powder: It sounds weird, but cocoa actually enhances Mexican flavours really well! We use actual chocolate in our chilli sin carne. leave out the salt if you don’t want it! Add all the ingredients to a jar, close the lid, and shake, shake, shake! Ignore the little scratch on my thumb… I have no idea how I got it. If you decide to try this recipe, you can leave a comment below or take a picture of it and tag me on Instagram. My profile name is @spirendeveganer. I would really appreciate it. Otherwise, thank you for reading and take care until we meet again! 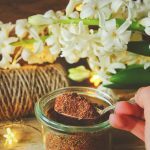 Either add all the ingredients to a small, airtight container and mix them with a spoon until combined or add all the ingredients to a small sealable jar, close the lid, and shake until combined. Use to spice any Mexican dish, refried beans, guacamole, or just baked potato wedges.